Drew Valley in Brookhaven is a charming neighborhood in the new city of Brookhaven with a combination of brick ranches, cedar contemporary homes and newer construction of Craftsman, bungalows and traditional style homes. Drew Valley’s convenient Brookhaven location offers residents easy access to lots of shopping and dining in the Brookhaven and Buckhead areas. Drew Valley is located in zip code 30319. 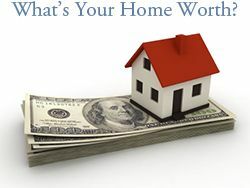 See homes for sale in Drew Valley. Here are the top 10 reasons why we love Drew Valley and Brookhaven. 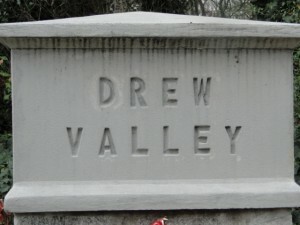 Location – Drew Valley is located in Brookhaven, east of Peachtree and south of Dresden. 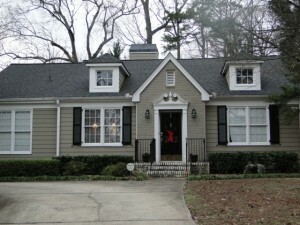 The neighborhood has easy access to I-85 and GA 400, and its close proximity to Buckhead adds appeal to the community. Drew Valley is also located less than a mile from the Brookhaven MARTA station, which offers easy access to the airport and downtown Atlanta. Click here to see a map of Drew Valley. Drew Valley Civic Association – The Drew Valley Civic Association is a group of volunteers who work to improve the Drew Valley neighborhood. The group was founded in 1994; however, it is not a homeowner’s association. This group of neighbors fosters a sense of community for the area, and they also address mutual concerns for the neighborhood. Drew Valley residents also enjoy watching beautiful birds in the neighborhood, as the area is listed as a local Georgia Bird Watch location. Click here to view the Drew Valley website. Shopping –Drew Valley is just a few minutes away from Town Brookhaven, the new shopping area off of Peachtree Road. A few large retailers, such as: Publix, Marshalls, and Costco are located in Town Brookhaven, and there’s also Redefined Home Boutique, Sugarboo & Company, and Boogaloos.. With just a quick drive down Peachtree, residents can take advantage of all the shopping in Buckhead. Phipps Plaza and Lenox Square malls have major retailers, and there are also smaller boutiques in the Buckhead area. Dining –There is an abundance of dining options just minutes from Drew Valley. Down the street, and within walking distance, is Village Place Brookhaven that has restaurants: Verde Taqueria, Haven, Valenza, and Kaleidoscope Bistro and Pub. Town Brookhaven offers restaurants such as Bua Thai and Sushi, Flying Biscuit Café, Newk’s, Moe’s Southwestern Grill, There Brookhaven, Hobnob Neighborhood Tavern,and Olde Blind Dog Irish Pub. 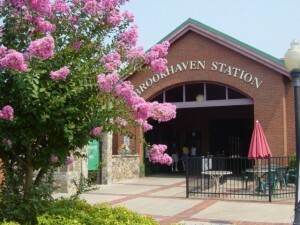 Brookhaven Station is also close to the neighborhood with Hudson Grille and Mellow Mushroom. 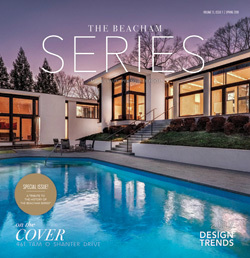 Residents also have convenient access to all of the Buckhead restaurants via Peachtree Road. A quick drive up Peachtree Road, and residents of Drew Valley can take advantage of being near Peachtree Golf Club. It was founded by the legendary, Bobby Jones, and it opened in 1948. 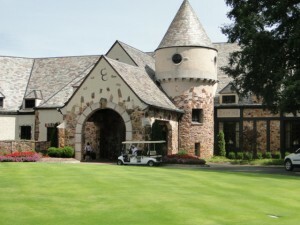 Peachtree Golf Club is an 18 hole, members-only course. The course is known as one of the best golf courses in the country and the facility only offers golf, as there are no tennis courts or swimming pools. Capital City Country Club –Near Drew Valley, in Historic Brookhaven, Capital City Club is one of Atlanta’s most prestigious private country clubs. The club offers golf, swimming, state-of-the art workout facilities, and 11 clay tennis courts. The newly redesigned 18-hole golf course was opened in 2009 and offers some of the best golf in the country. The club also has event space for weddings and other festivities. Members can also take advantage of the spa and dining options at the club. 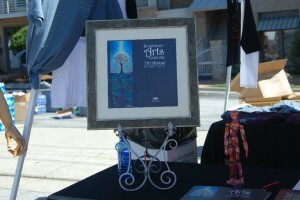 Brookhaven is home to many festivals and events. The Brookhaven Farmers Market is located just down the street in the Brookhaven Park Village parking lot, just off of Dresden. The farmer’s market takes place every Saturday from May to December and residents of Drew Valley can walk to the farmer’s market. Near the Brookhaven MARTA station, annual events such as the Brookhaven Arts Festival, Brookhaven Beer Fest, and Atlanta Chili Cookoff take place. Town Brookhaven has a Tree Lighting during the holiday season, as well. Drew Valley has plenty of fun amenities nearby, in addition to the late-night restaurants and pubs on Dresden and at Town Brookhaven. Cinebistro in Town Brookhaven, offers guests a fine dining experience while they watch a movie on the big screen. Also nearby in Buckhead, is an AMC movie theater, Leggoland at Phipps Plaza, the Buckhead Theatre, and the Atlanta History Center. Schools – Drew Valley is zoned for public schools: Ashford Park Elementary School, Chamblee Middle School, and Chamblee Charter High School. Chamblee High School is a magnet school for high achievers in the DeKalb Country school system. Also nearby are private schools: St. Martin’s Episcopal School and Our Lady of Assumption (OLA) for students in grades Pre-K through 8th grade and St. Pius X High School, a private Catholic college prep school for students in grades 9 -12. This 18 acre park is located within walking distance of the Drew Valley neighborhood. The park has tennis courts, a baseball field, and other multi-use fields. There are also several trails, a playground, and a picnic area. The recreation center has a gym for basketball and other activities, and there is a swimming pool at the Briarwood Recreation Center, as well.